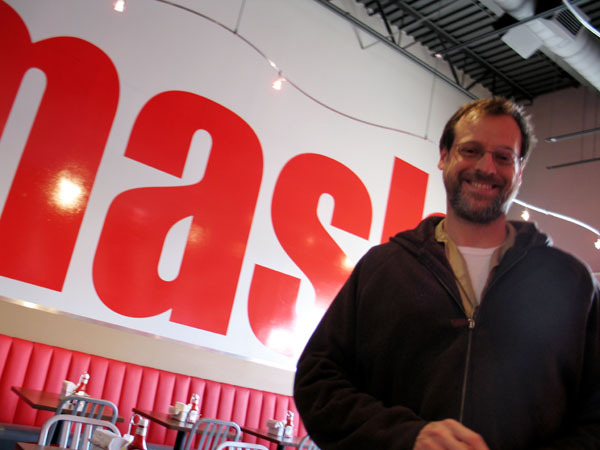 According to EaterChicago, Smashburger is coming to Chicago. They already have stores in other parts of Illinois and of course, we used to go to the one in Colorado Springs when we lived there. Mike at Smashburger in Colorado Springs. 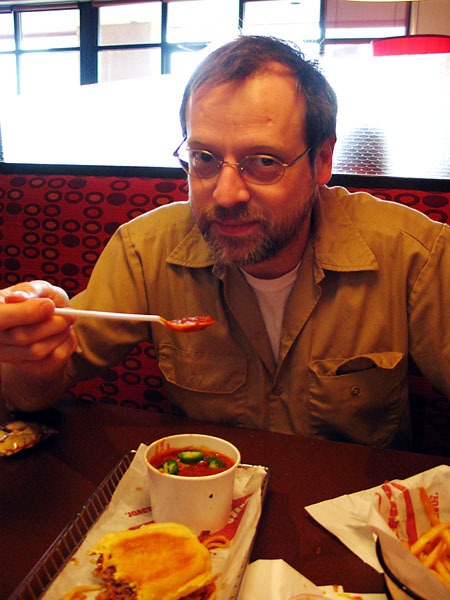 He’s eating some chili with an ice cream spoon because they were out of regular spoons, LOL. The chili was really good! 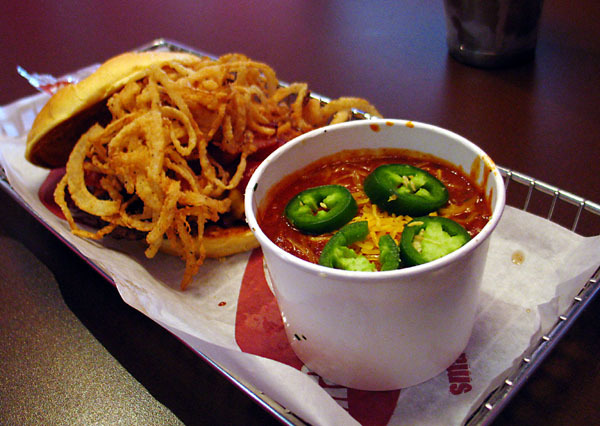 He ordered some kind of fancy burger with BBQ sauce that they mistakenly left off, and fried onions. MMMM. They have two almost identical burgers on their menu, both pretty basic. They gave me the wrong one but I didn’t notice till I was at least halfway thru. Still, it was pretty tasty but a little too salty. I enjoyed it more than Mike did. The fries were some kind of fancy garlic rosemary fries but were just ok. 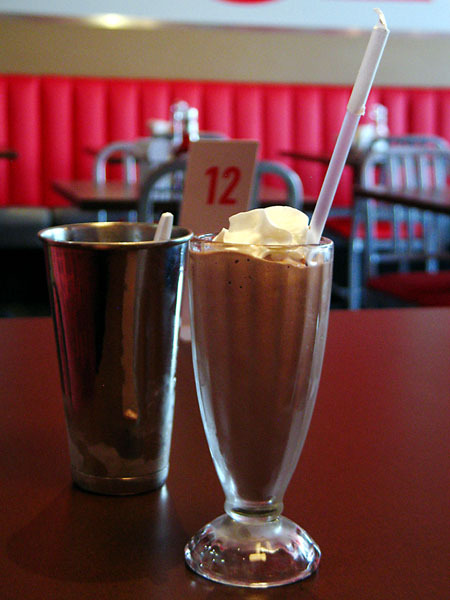 Ordered a chocolate malt and got a chocolate shake. The service wasn’t very good and it was extra lame because there were only like 2 other tables in there. Still, the shake was good! They also have pretty cool decor. Smashburger is good and the decor is fun, but still, in Colorado Springs, our fave is Drifter’s. 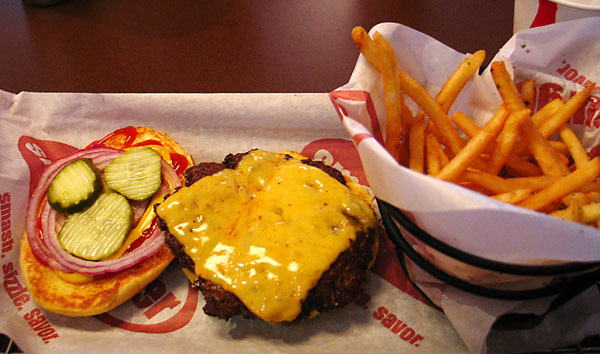 And in Chicago, there are sooooooo many awesome places to get burgers nearby, including hipster Kuma’s and delicious chain Five Guys Burgers and Fries, as well as Edzo’s not too far away so I doubt we’ll go to the new Smashburger too often.